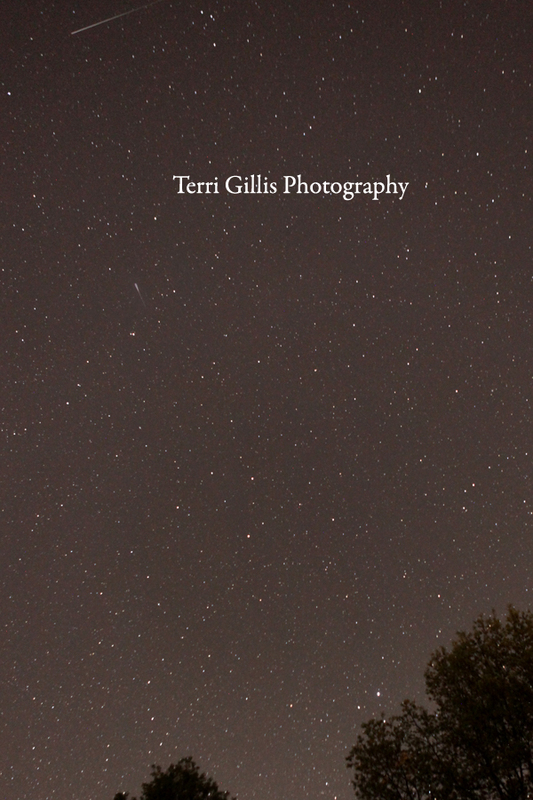 Stepping out of my box last night I decided to try and photograph the Camelopardalids Meteor shower. This was about 11:45pm and as you can see I have 2 little trails/tails (not the HUNDREDS I was hoping for). I set my alarm and got back up at 2, nothing more was happening and my husband got up at 3, still nothing. I’m not sure if this was it or if we missed it? If they were so slow that you couldn’t visibly see them?? I shot this with a 24 second exposure and I didn’t t see them until I viewed the image in camera. For me a fun little discovery to say the least & I’ll take it. It might not be the most impressive thing you’ve ever seen, but was a fun thing to try. It brings me to this scripture. … “Why, you do not even know what will happen tomorrow. What is your life? You are a mist that appears for a little while and then vanishes. James 4:14” . Like these little comets/meteors (forgive me, I’m NOT an astronomer) how many moments do we miss when we are not completely focused? Things that we let go of or get by us due to lack of time. We’re missing some big stuff people!! Life is a vapor. Can we be courageous, love deeply, forgive (again & again), seek joy, be content, cease striving and just relax once in a while? Don’t miss the vapor.